Chestnut Ridge is a village in the Town of Ramapo located north of the state of New Jersey, east of Monsey, south of Spring Valley and west of Nanuet. Chestnut Ridge is known for its eclectic mix of education, including public schools and wide range of private schools, such as the prestigious Green Meadow Waldorf School. For leisure, enjoy a walking trail, tennis, baseball, or basketball at Children’s Park. Visit Little Red Schoolhouse for a history lesson on the education in Rockland County. 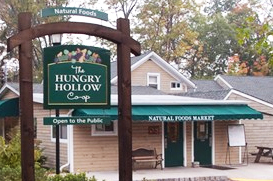 Chestnut Ridge is also home to the Rockland County Choral Society, who performs a wide variety of choral works, and the infamous Hungry Hollow Co-Op, where you can pick up some of the best local harvests.